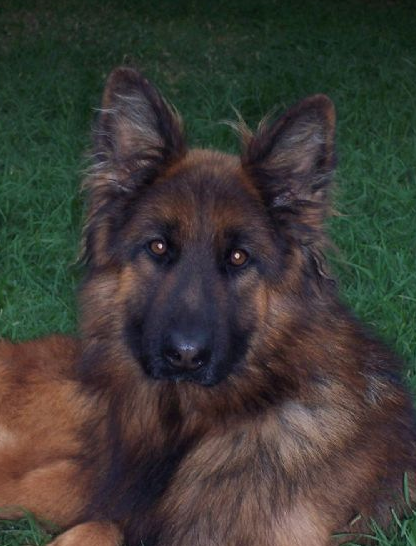 German Shepherd Dog Breeders Eternbur Kennels are located in Southern Highlands NSW Australia, which is near Mittagong, Moss Vale, Bowral, Picton, Tahmoor, Thirlmere, Bargo and only 30 minutes from Campbelltown & Wollongong. Eternbur German Shepherd Dog breeding kennels are producing beautiful, strong boned, high quality German Shepherd puppies who would make any family proud. The stud dogs I am are using are from the best Australian and German Imported Champion bloodlines. My puppies are from Hip & Elbow x-rayed parents which have excellent temperaments and outgoing characters. They are suitable for Show, Obedience, Tracking, Agility or just special family pets. They have all their registered pedigree papers and are vaccinated, micro-chipped, tattooed, wormed and vet checked. 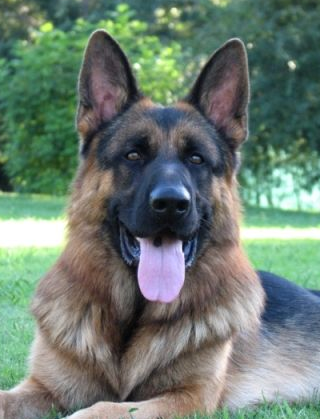 Eternbur GSD kennels are high quality breeders of German Shepherd Dogs and German Shepherd Puppies in NSW Australia. Our dogs are raised in a family enviroment and are very good with children and other pets. I am an ex-member of the German Shepherd Dog League NSW (GSDL NSW) and The German Shepherd Dog Council Australia (GSDCA) I am a current member of The Royal NSW Canine Council (RNSWCC) which are now operating under their new name DOGS NSW. For more information about expected litters and the breed please visit our website.